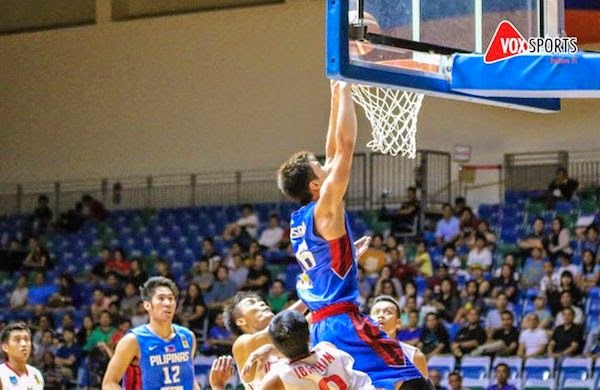 The 2015 SEABA Championship started with the favorites drawing first blood and zooming to the top half of the standings. Malaysia blew out Brunei, favorites Sinag Pilipinas drubbed Indonesia, and hosts Singapore ran roughshod over Laos to open hostilities at the OCBC Arena in the Singapore Sports Hub. 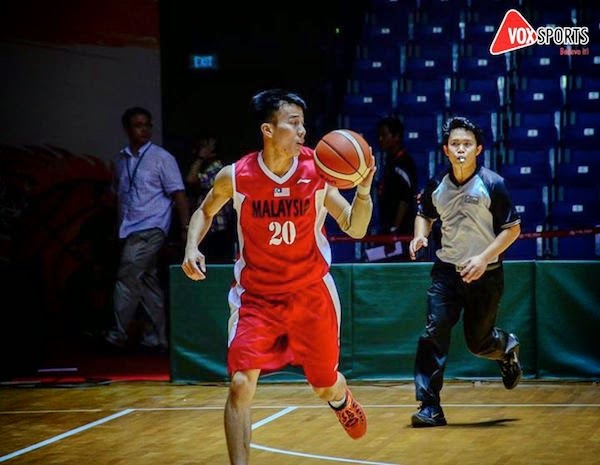 - As expected, the Malaysians had little trouble against basketball newbie Brunei. The smaller Bruneians did well on the glass, getting the same amount of rebounds as their taller foes, but they just couldn’t put the ball in the hole, shooting under 32% from the field. In contrast, Malaysia connected on 43% of its shots. 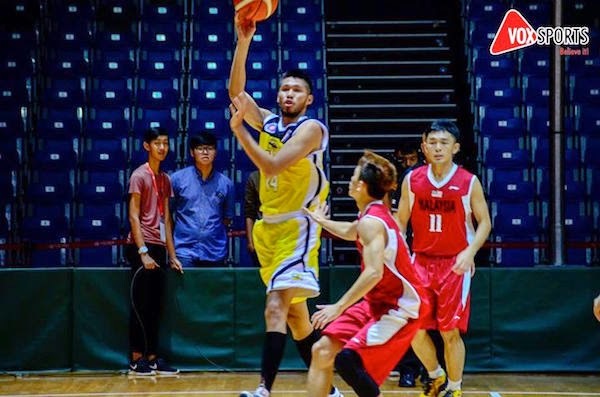 The bigger Malaysian frontline outdueled their counterparts in the paint, 46-32, and they also pounced on Brunei’s 32 turnovers, scoring 23 points of these errors. Young power forward Ivan Yeo led the victors with a 14-points, 11-rebound double-double, while Eng Heng Soo and Chee Kheun Ma added 13 and 11 markers respectively. Ching Poh Chong and Zainul Hussin scored a total of 25 points to pace the losing side. Line of the Game: Ivan Yeo (MAS) - 14pts, 11rebs, 4asts, 1stl, 7/11 FGs. 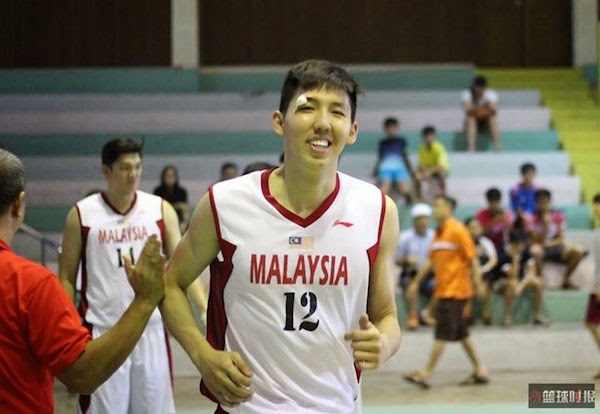 Young big man Ivan Yeo stepped up for Malaysia. Brunei's Zainul Hussin was the only bright spot for his team. Chee Kheun Ma was a spark for Malaysia, scoring 11 points. - Everyone knew the Filipinos were the heavy favorites in this match, but even a 56-point blowout was unexpected. 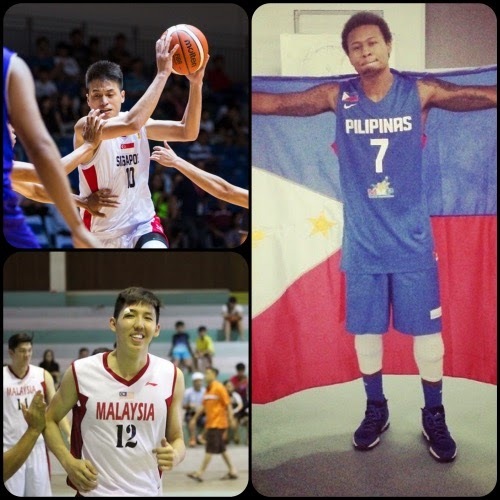 Indonesia, after all, still sent some quality players from its pro league (the NBL). Still, Sinag Pilipinas proved that, even without coach Tab Baldwin, it had too much firepower for the hapless Indons. Naturalized player Marcus Douthit played under 12 minutes and ended up with only 5 rebounds to his name, but he was hardly needed as Ray Parks and Almond Vosotros pretty much took care of the scoring cudgels. Parks was a perfect 4/4 from the floor on his way to a game-high 15 points, while Vosotros drilled 3 triples en route to 13 markers. Jio Jalalon also impressed with 10 points, 4 boards, and 3 assists, while Kiefer Ravena added 11 points and 4 steals. 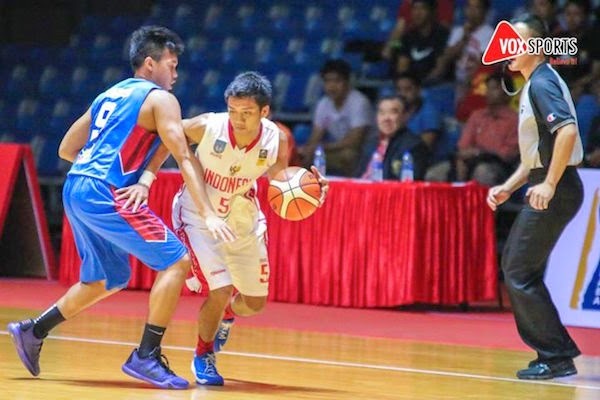 NBL leading scorer Respati Pamungkas was the only Indon in double-digits with 12 points, making 3 treys. Line of the Game: Ray Parks (PHI) - 15pts, 6rebs, 1ast, 1stl, 4/4 FGs. 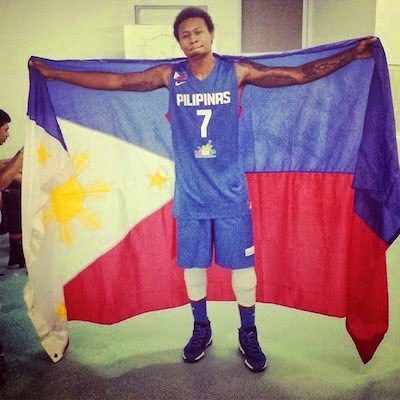 Ray Parks soared high for Sinag Pilipinas in its first win in #SEABA2015. Almond Vostros caught fire early to help Sinag get some separation against the Indons. 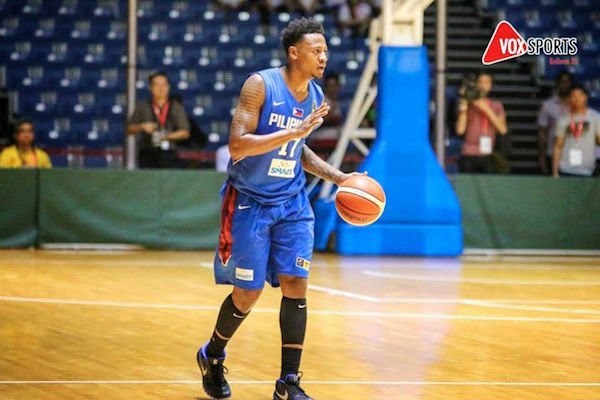 Ray Parks top-scored for Team Sinag Pilipinas. Indonesia NBL leading scorer Respati Pamungkas paced the Indons with a dozen markers. Former NU big man Troy Rosario slams one home against Indonesia. 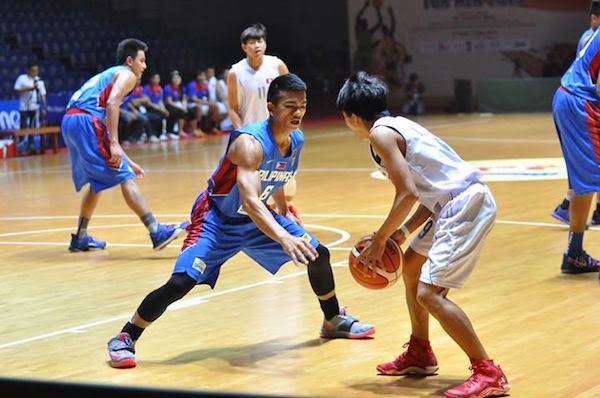 Jio Jalalon tries to defend Indonesia's Steven Oei. - Hosts Singapore were relentless in showing the overmatched Laotians who was boss. The hometown squad outrebounded their guests, by 30, forced 31 Laos turnovers, and limited the Laotians to just 14% FG shooting. It was, by all indications, a statement game from a Singaporean quintet bent on dethroning the Philippines in this competition. 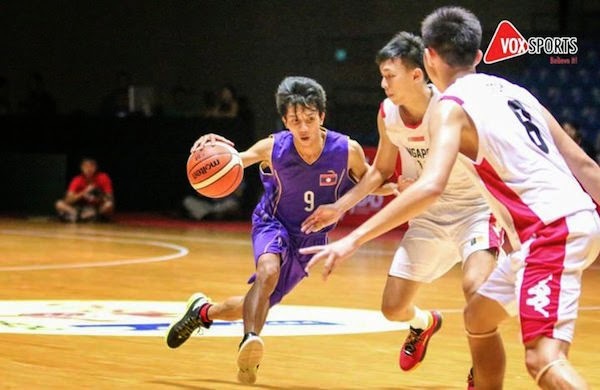 Six Singaporeans scored in double-figures, with Leon Kwek’s 18 points leading the way. Qing Huang Toh and Kelvin Lim each recorded double-doubles, combining for 30 points, 23 rebounds, and 6 steals. Main players Desmond Oh, Hanbin Ng, Wei Long Wong, and Delvin Goh weren’t even played a lot in this game, which means they’re probably being reserved for the tougher matches ahead. Line of the Game: Qing Huang Toh (SIN) - 17pts, 11rebs, 5asts, 2stls, 1blk, 3 triples, 7/14 FGs. Qing Huang Toh had a big game against Laos. Leon Kwek drains one from long distance. Khonesavanh Lattana of Laos tries to attack the tight Singaporean defense.